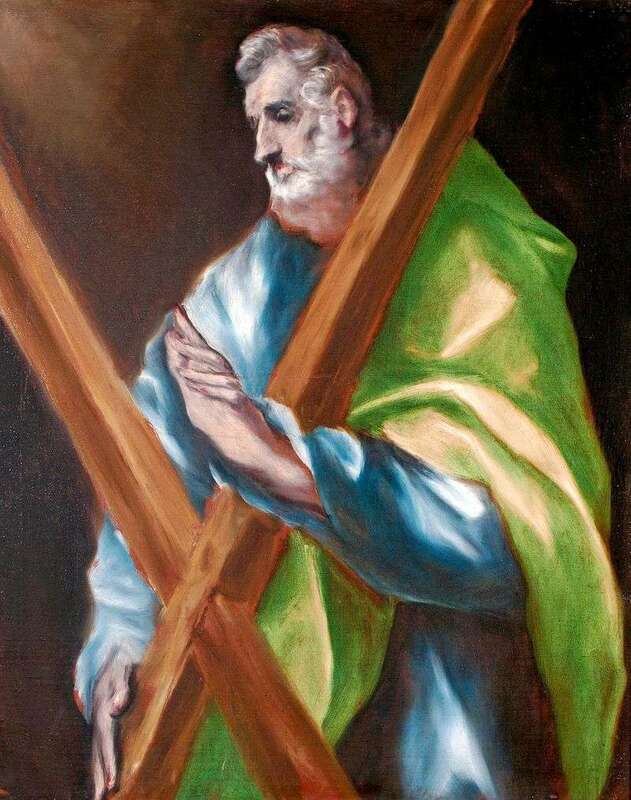 The picture of El Greco “Apostle Andrew” depicts a saint in full accord with tradition. This is an old man, a figure similar to his brother Apostle Peter. In his hands – an oblique cross. According to the legend, Andrew was martyred, being crucified on the X-shaped cross. Less often it is depicted with a fishing net or rope. According to legend, the Apostle Andrew made missionary trips to the Scythian lands, Asia Minor, Greece. Particularly revered St. Andrew the First-Called in the Orthodox Church. According to legend, he pointed out the place and prophetically foretold the foundation of the city of Kiev on it. With his right hand the apostle holds a wooden cross. The left palm of the apostle is stretched in a blessing gesture, its image resembles the wing of a dove, the symbol of the Holy Spirit. Description and meaning of the painting The Holy Apostle Andrew by El Greco.